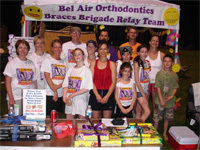 Bel Air Orthodontics is proud of our patients and their accomplishments. If you are featured in the local paper, school newsletter, or other media, we'd like to post the article on our Famous Patients bulletin board located in our reception area. Sherry, our Professional Relations Coordinator, searches weekly in the local newspapers for patients who are Stars. Feel free to let us know about your accomplishments just in case we miss the news! 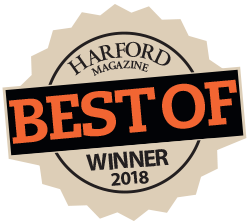 We'd like to take a moment to thank you for showing confidence in our practice by recommending us to your family, friends and co-workers. Many patients come to us seeking treatment based solely on the advice and recommendation of their friends and family who've had treatment in our office. This is the highest compliment we could receive and is the best illustration of your satisfaction with our work. To show our appreciation for your referrals, you and your family will receive a fun-filled gift basket for every friend you refer who joins the Bel Air Orthodontics' family. We are currently accepting new patients. If you know of anyone we can help, please do not hesitate to have them give us a call. 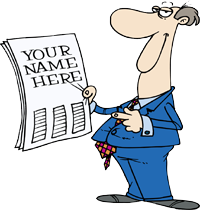 If you prefer to have us contact them, visit our Refer a Friend page to send us their contact information. We love adding wonderful new patients to our practice just like you, so spread the word about Bel Air Orthodontics. At Bel Air Orthodontics, we know that a healthy smile starts with education. Knowing how to properly care for our teeth is an integral part of achieving this, and we've been actively seeking to educate our community's youth in proper brushing techniques to start those healthy habits early. Dr. Godwin and Sherry, our Professional Relations Coordinator, have developed an elementary school presentation called Happy, Healthy Smiles. 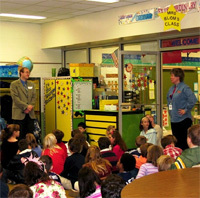 The program is designed to educate students on the importance of good oral health and hygiene. Classrooms are filled with oohs and ahhs as Dr. Godwin presents his slide show highlighting the wonders of orthodontic care. He received applause from the fifth graders at Jarrettsville Elementary as he presented Before & After photos describing the benefits of a healthy smile. We'd love to visit your school, so tell your teacher about our program. For more information, call Sherry or send her an email. We're proud sponsors of The American Cancer Society’s Relay for Life, Annie's Playground and Project Christmas Shoebox. Supporting community projects such as these is just our way of giving back to the residents of Harford County. Bel Air Orthodontics is a proud partner and official drop-off location for HCEF’s annual Stuff the Bus School Supply Drive. The Stuff the Bus School Supply Drive helps stock HCEF’s Tools for Schools Resource Center, a store where Harford County teachers can shop for free school supplies for their classrooms and students in need throughout the school year. Here’s How We Made It Fun During This Year's Drive . . .
We set a goal to raise $1000 in school supply donations, but we knew we couldn't do it without your help. To make donating easy and fun, we kicked off the supply drive with our Fill Our Pool For Back to School Raffle. Patients earned a raffle ticket for every donation drop-off made between July 17 & September 15th. The name of one lucky winner was chosen from all those who participated, and our winner took home a $25 Target gift card! With the help of our team, patients and dental partners, Bel Air Orthodontics exceeded our goal and raised over $2000 in school supplies to benefit the Harford County Education Foundation's Stuff the Bus Campaign. Thank you for all your generous donations! 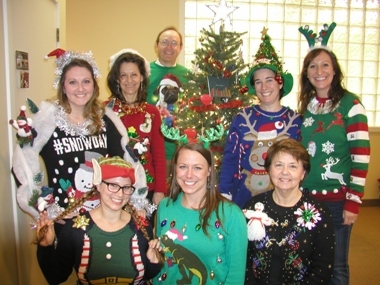 During the 2016 holiday season, Dr. Godwin challenged his staff to come up with the craziest Christmas sweaters they could. The staff took this challenge seriously and went to work designing some of the most original Christmas sweaters you'll ever see. From reindeer and elf inspired outfits to sweaters that had skiing snowmen, their creations were nothing short of amazing! Lots of fun was had by all of us, including Dr. Godwin, who joined in the fun. Building relationships and staying connected with our community and our patients is important to the team at Bel Air Orthodontics. With that in mind, we joined Facebook in June 2013. To stay current on the latest news about our practice and to Like Us on Facebook, visit us at www.facebook.com/belairorthodontics.godwin. We'd love to have your feedback, so feel free to send us your comments and share your photos with the team at Bel Air Orthodontics. In addition to our Facebook page, we've also developed a new Blog page. There you can find interesting and informative articles on orthodontic topics along with tips and helpful suggestions from Dr. Godwin and our team. We hope these social media tools will be welcome resources for you, your family, and friends.